We have a veterinarian and personnel on duty five days a week who are trained and equipped to handle any urgent care your pet has. Usually an emergency team consists of at least one veterinarian and several technicians working together to save a pet's life. Emergencies can be things such as snail bait poisoning, hit by car, and chocolate ingestion. If you ever feel that your pet needs emergency treatment do not hesitate to call or come in immediately. 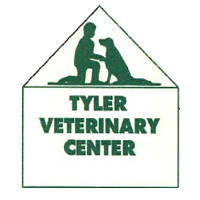 Tyler Veterinary Center offers discounted services to senior citizens and local area rescue groups. Pre-approval is required to qualify for the rescue group discounts, please call us for more information.